Eye disorders are one of the most common long-term health problems among children, alongside asthma and allergies. Often, children’s eye conditions go unnoticed, with children simply learning to adjust to any vision impairments or being unable to explain the visual problems they are experiencing. 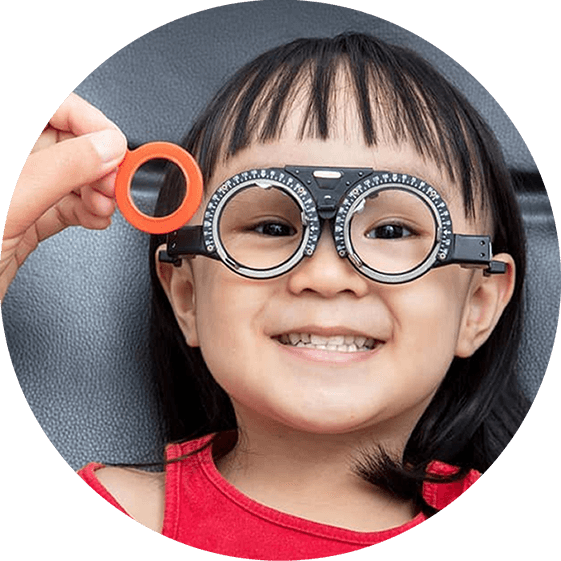 To ensure that your child’s eye health is monitored routinely and corrected as needed, turn to Ortho K Group for children’s eye care in Melbourne. Our children’s vision tests are completely painless and usually a fun experience for the child, assessing the eye movement, eye structure, vision, visual guidance and focusing skills of your child. From here, any necessary treatments or corrections are discussed. Clear vision is essential for your child’s social, educational and physical development. If your child’s vision is not corrected as required, they may find themselves falling behind in class, struggling to keep up in sports and unable to socialise normally. In fact, about 80% of what is taught in schools is visual, highlighting the importance of clear and healthy vision at a young age. By regularly taking your child to children’s vision tests, Melbourne parents can ensure any issues are corrected and further issues are prevented. While eye tests are sometimes conducted during routine developmental checks, we recommend a more thorough eye examination on a yearly basis to closely monitor your child’s eye health. Often, our children’s optometrists throughout Melbourne will recommend orthokeratology lenses, as they can reduce the progression of myopia when your child is still young. To ensure your child can enjoy the world around them in full colour and clarity, contact Ortho K Group today. We have four locations around Victoria. You can book by phone, email or directly with our member optometrists.